When my sweet Baby B first arrived, the most challenging moments seemed like every moment. I was learning how to take care of a newborn, which included diaper changes, nursing, putting clothes on a tiny person and learning how to function with limited hours of sleep. Every. Single. Thing. Was. New. No matter how much I thought I was prepared, there was nothing like the "real thing." But, as so often happens, I felt more confident and grew into a stronger person as time ticked on. Still, one of the biggest hurdles I faced during my baby's first year was finding time to take care of myself. Suddenly, leaving for just an hour or two wasn't as simple as it sounded. I was (and still am) a nursing mother so, quite literally, my baby relies on me as a food supply. Just like the baby had to learn to nurse, he also had to learn to take a bottle while I was gone. I didn't realize that the baby had a preference for bottles. And that preference makes the idea of spending time away that much more challenging. 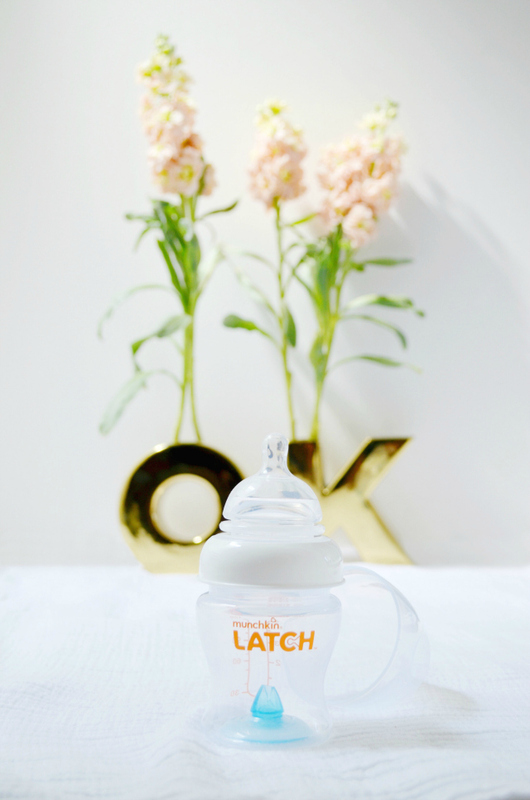 Thankfully, bottles like Munchkin's LATCH mimics the feel of a baby nursing so moms (like me) looking to spend some quality me time don't have to worry as much while we're gone. 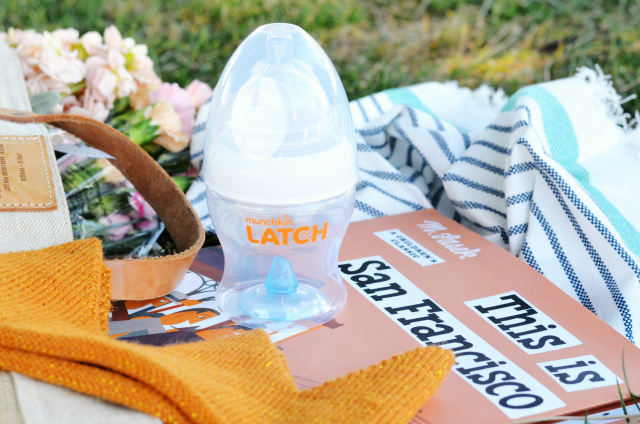 The bottle eases the transition from breast to bottle, creating a better latch and pumps milk like the breast. The blue valve on the bottom even helps reduce the symptoms of colic, which is one of those "baby things" where we don't realize how bad "bad" really is. Until it happens. And since we're being real here, as any nursing mother knows, nursing pads are a MUST. 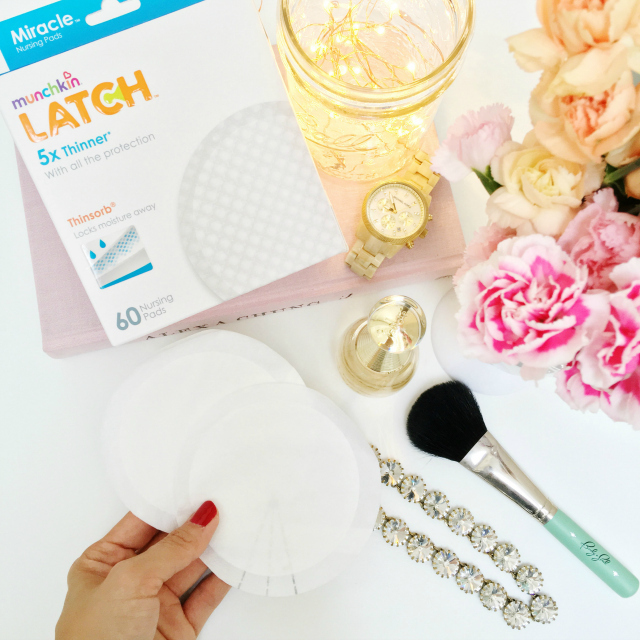 So Munchkin LATCH didn't leave any mama behind with these pads. I have never had to worry about an embarrassing situation while out and about. 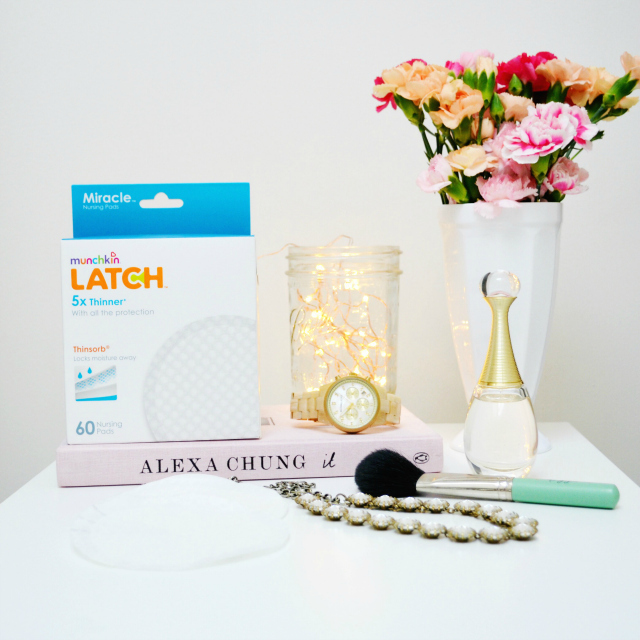 They are thinner than other nursing pads I've tried, which really make more of a difference than I could ever know. So while I had the fortune to try Munchkin LATCH with surprisingly good results, the ultimate goal has always been to make sure that baby and mama are BOTH happy and going to be OK. It's OK to take time out for yourself to do things for yourself. It's OK to feel selfish. It's OK to feel like you need a break from being a mother. And for me, that time is (always) well spent with my BFF, coffee, and a good book. I can't wait for my next date with the two of them. Knowing the baby boy will be well taken care of is half the battle. 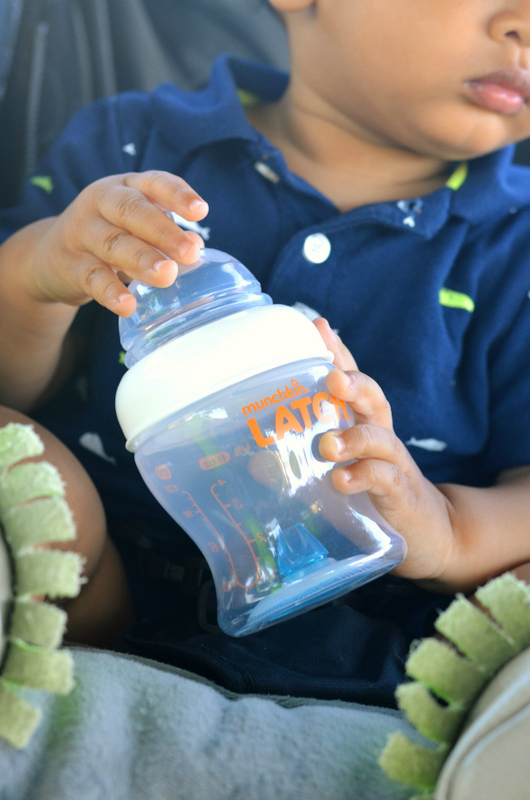 Thanks to Munchkin for partnering on this post. As always, all thoughts and opinions are my own. 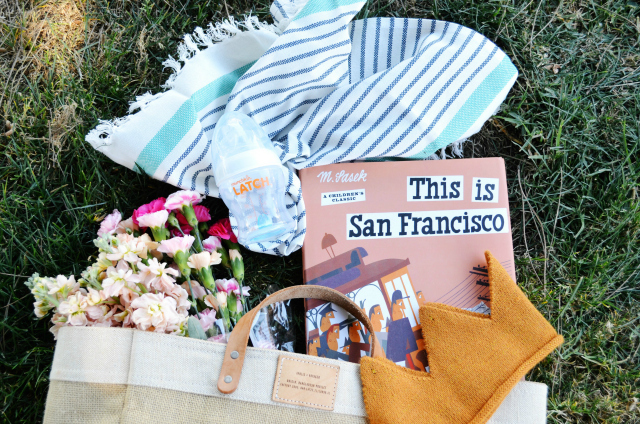 We used Dr. Browns but these bottles sound great for breastfeeding moms who pump! I did not breastfeed so Brody didn't know any different! 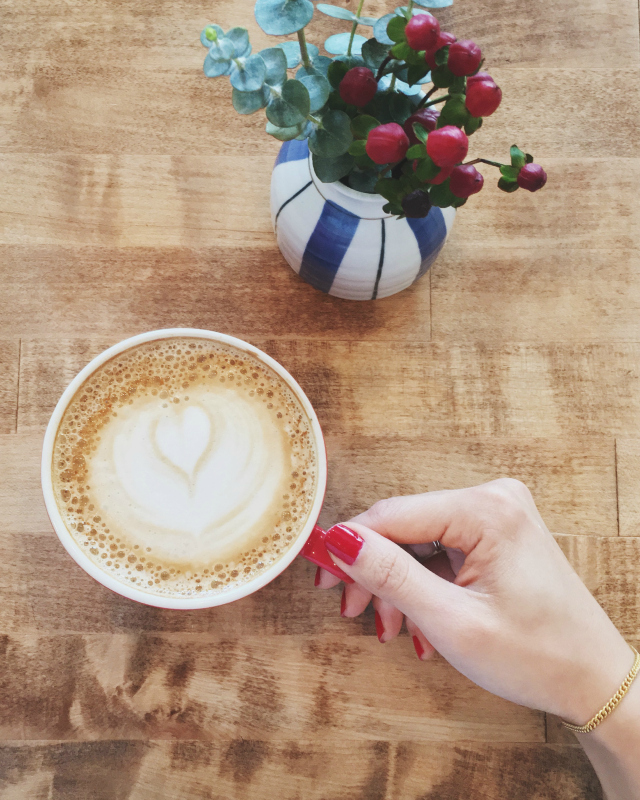 And that latte... now I want coffee! Mmmm! The bottle is very cute and I'm glad you can sometimes have "Me-time", which as you mentioned is very important! 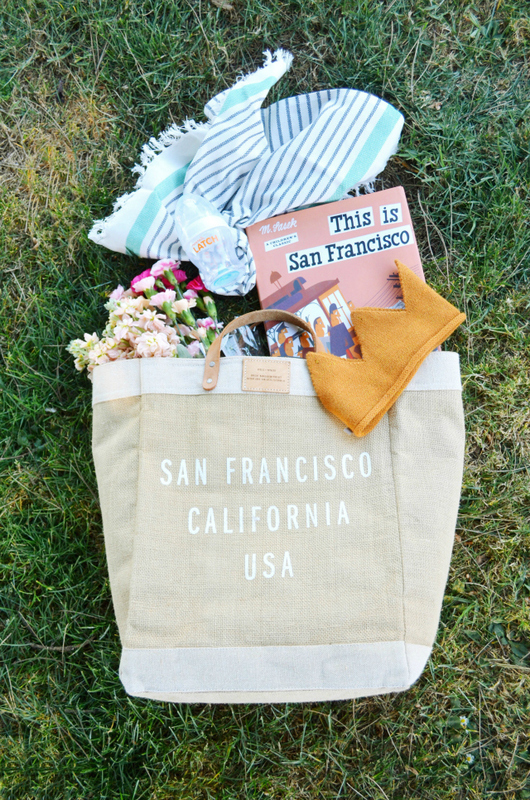 perfect items and photos! xO! I so hear you, getting that time to yourself (and not feeling guilty about it!) is so hard, especially in the beginning. I'm pregnant with my second now, and I worry that it will be even harder this time around with two. I'll have to check out those bottles too, I've heard good things! That's a cute bottle. Lovely photos too.